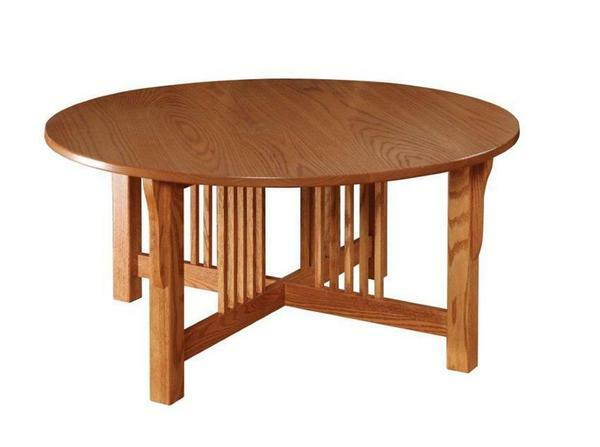 This Prairie Mission Coffee table has a beautiful round design with a classic Mission trestle base. If you are looking for a coffee table that will be the center piece of your living room, family room or waiting area then this is the one! Check out the matching Prairie Mission Round End Table to complete the look.